Finally! A Way To Award Gamers For Achievement Scores. Each level will offer a “special gift” during the month of your birthday. The Champion and Legend tiers offer more rewards as well. 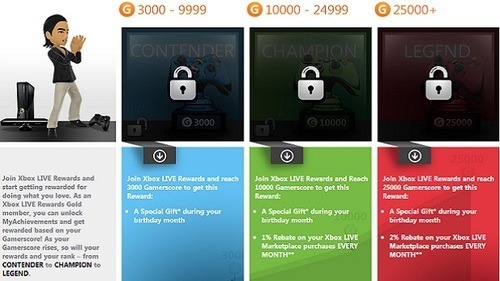 For gamers in the Champion level, a 1% rebate will be offered for all Xbox LIVE Marketplace purchases every month. The same rules apply to those in the Legend tier except they receive a 2% rebate. You can sign up for MyAchievements by clicking on the link and logging in. Hope all you Xbox 360 gamers enjoy your rewards! Could Fan Negativity Have Something To Do With Bioware's Founders Leaving?